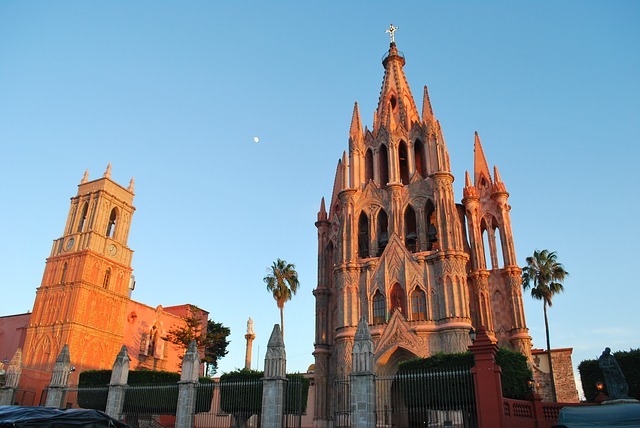 San Miguel de allende was voted the best city in the world for the first time beating out major travel destinations like Florence and Cape Town. It has become a favourite destination and retirement haven because of the customs and traditions from its colonial past have been preserved. This romantic city has a well preserved history, colourful traditions and culinary delights. looking at just photos will make you want to go. Hit up the hotspirngs: besides enjoying the vibrant and cultural city centre, one of the best things to do in San Miguel de Allende is to experience the local hot springs. La Gruta and Escondido Place is the two hot springs centers. Hop on the trolley: Take the sightseeing trolley, departing from the Tourism office on the north side of the Jardin Principal. You can take the sightseeing trolley that will take you to the main points of interest, including Mirador, a lookout point for a panoramic view of San Miguel de Allende. Stroll the streets: one of the best things to do in San Miguel de Allende and to get a feel for this amazing city is to just stroll the cobblestone streets, admire the beautifully painted colourful homes adorned with flowers, flower pots, vines and cactuses. You can’t help but feel awestruck and just feel like wandering down each and every nook and corner. Retire here: when visiting you will notice the large number of older expats and foreigners who reside here. That’s because one of the best things to do in San Muiguel de Allende is to retire here. There was a huge boom in foreigners who moved here in the late 1980s-the 90s who bought up property here and have lived here since. Many of the foreign residents are from US, Canada and Europe. Have a roof top dinner at the Luna Rooftop Tapas bar and La Posadita. These restaurants are meant for those who want to combine top-notch local cuisine with the most romantic views. Both are open for lunch too. Luna Rooftop Tapas Bar offers some of the best cocktails in town. The Sunday concert at Rancho Zandunga is a wonderful experience .Gil Gutierrez and his wife are the hosts for the Sunday concert. The gorgeous setting at his ranch is very unique. During the concert one can dance to the beats and also on the other hand enjoy grilled meat, fresh tacos and quesadillas. Dos Casas Hotel is one of the Luxury Boutique hotels in San Miguel. The service is friendly and professional. For all the Romantic couple Aperi offers a lot of privacy to get cosy with your loved one. Reserve a room with a private patio and Jacuzzi for two so that you don’t get stranded. The glittering rooftops of San Miguel and a little bubbly are just perfect for a romantic night. Santos Crudoteca is a hideaway for locals and hipsters. This spot has good live music and host a variety of events great food and delicious menu. From live music such as unbelievably talented Lady Zen to performance art and theatre to amazing DJs who jam all night .Typically one of a late night venue there is always some kind of artistic collaboration going on here. The recently discovered pyramids just outside of San Miguel are spectacular to visit and there are also many amazing outdoor adventures to be had in the canyon itself such as horseback riding, hiking, rappelling, hot air balloon rides, ATV trios hiking and more.